I have been thinking about Holiday pasts when we were traveling in the Middle East and we bought some delicious cooked marinated fava beans from a street vendor who dished out large cups into paper cones made from newspapers. Maybe it was just lemon juice, a dust of salt and cumin, but I often think of that day and what could have made them so great. 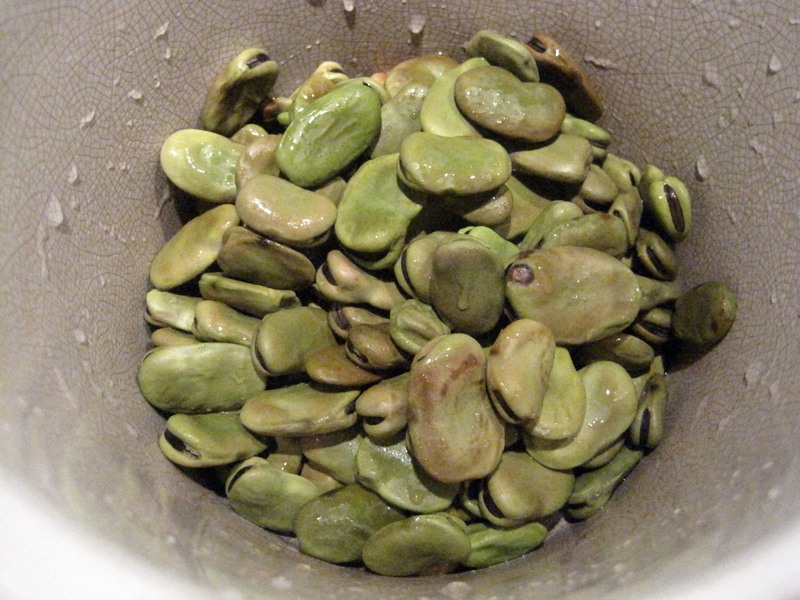 Well, fava beans are very flavorful. I do not make them often enough, but I did prepare them for the Holidays. 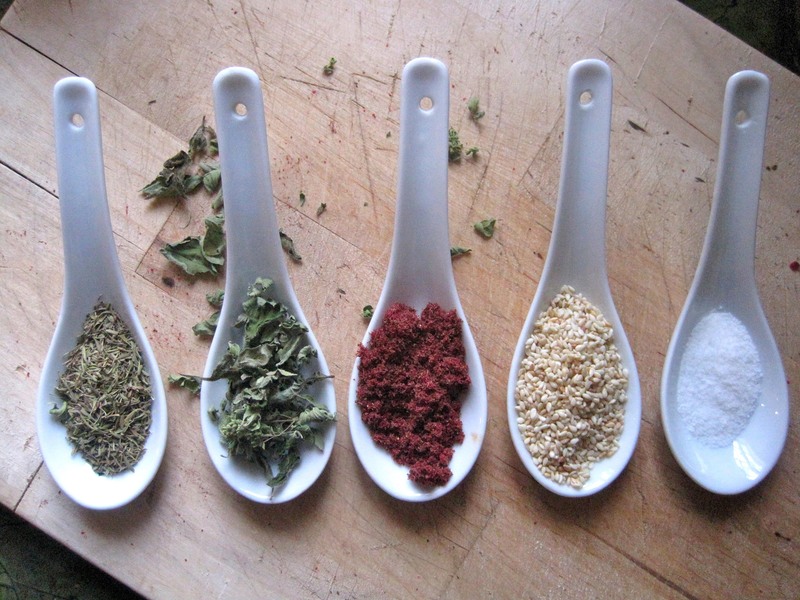 I am combining them with a recipe for Za’atar Spice Blend from Heidi Swanson’s 101cookbooks website. 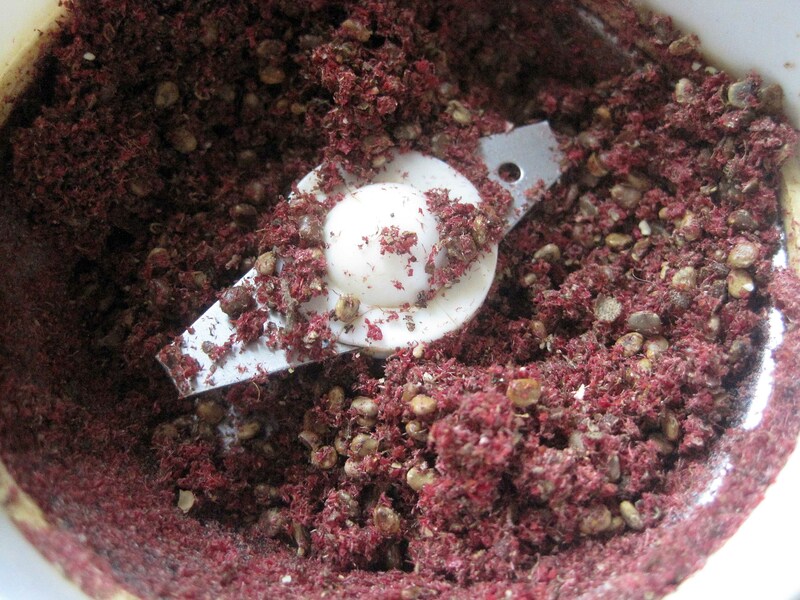 I have been wanting to make this spice mix using the sumac I harvested and dried this year! 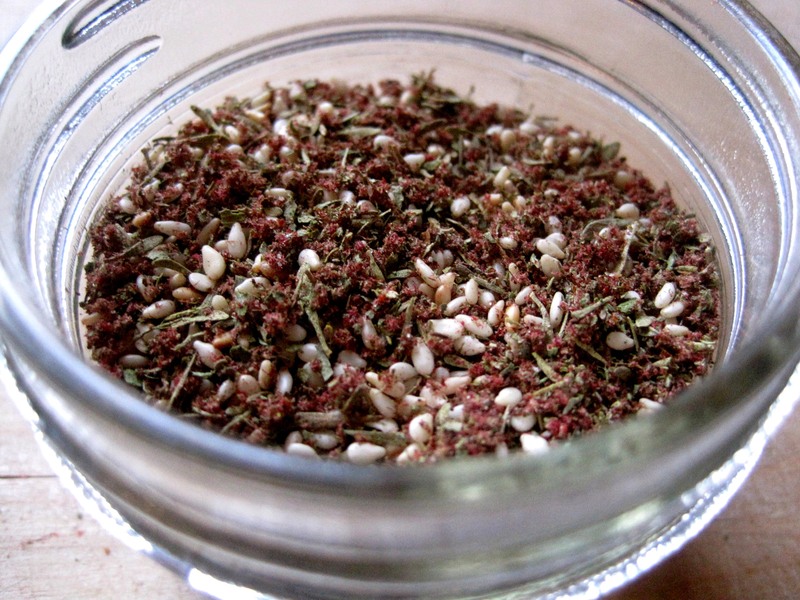 I also made some changes to use oregano I dried from my garden. 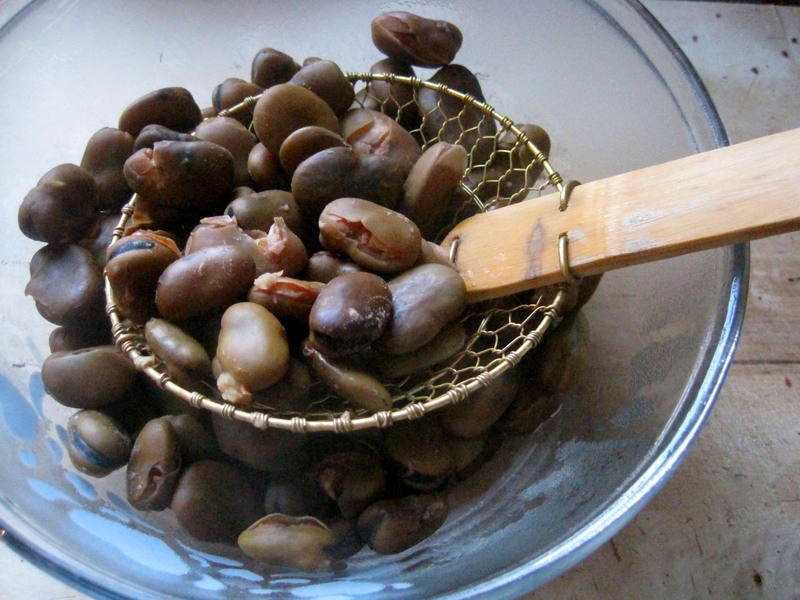 For the Fava Beans: Rinse and soak the dried beans on plenty of water overnight. 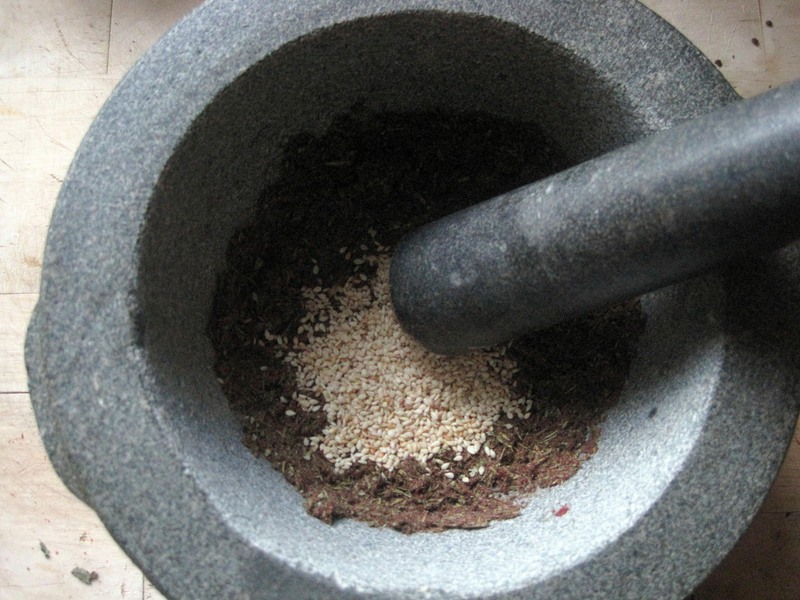 In the morning, rinse and add water to cover the beans and cook on low on crock pot for 6-7 hours. 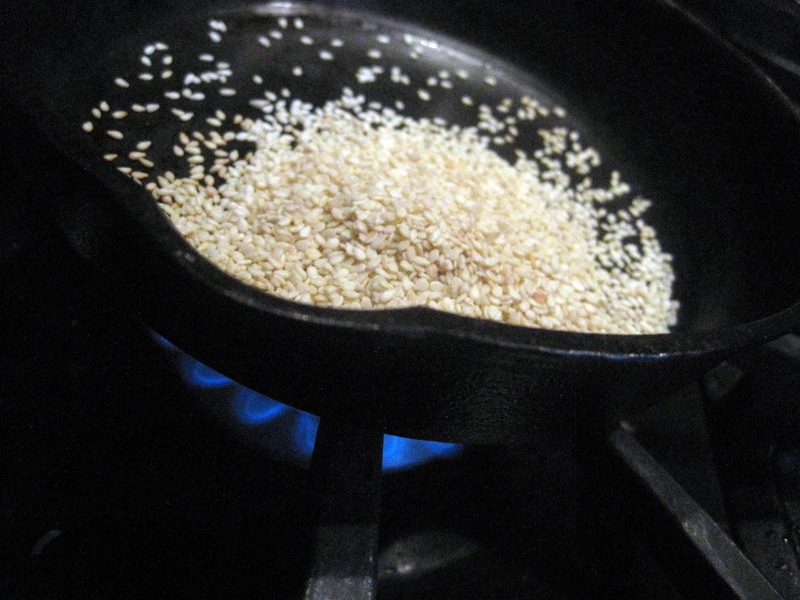 (Or stove top from 1 to 2 hours, checking until they are done). I removed the skins using a paring knife. 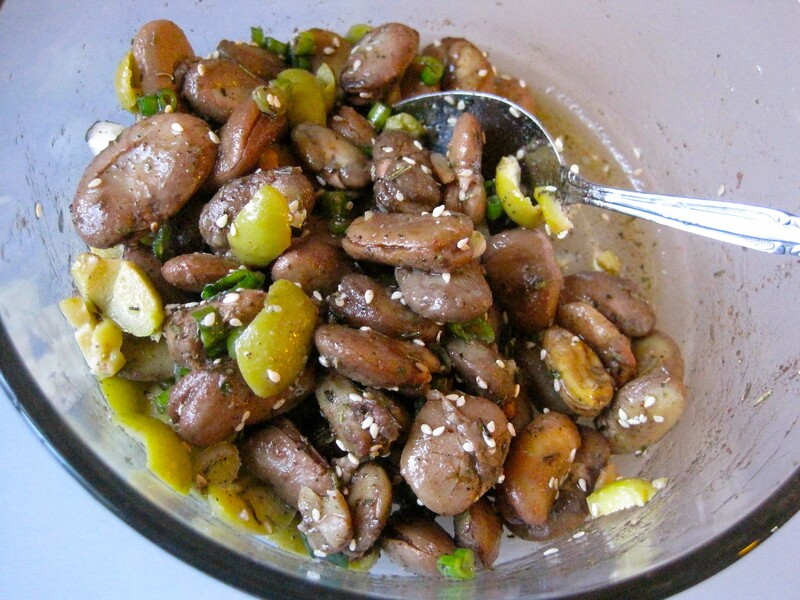 For the Marinated Fava Beans add 1 1/2 cups of cooked beans, 1/4 cup Za’atar Spice blend, half dozen olives, chopped scallions and extra virgin olive oil. 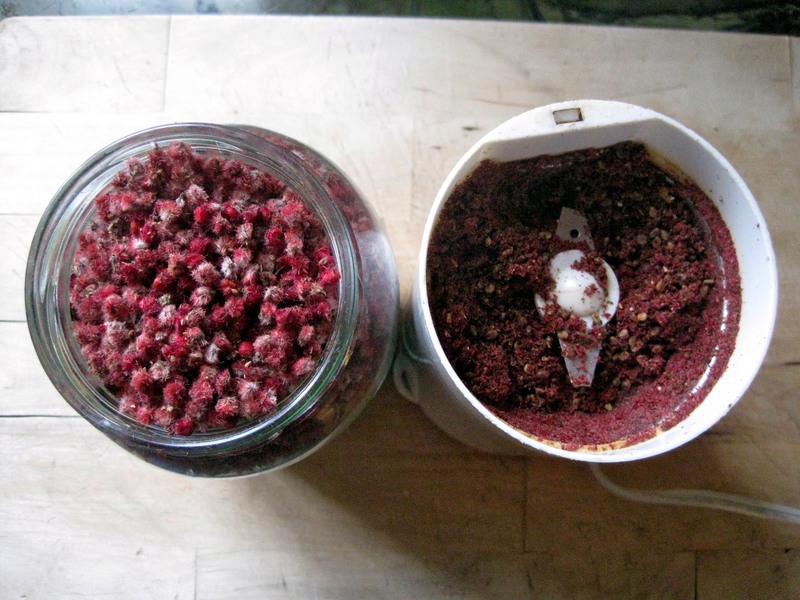 Grind sumac berries that have been removed from the cones and are dried. 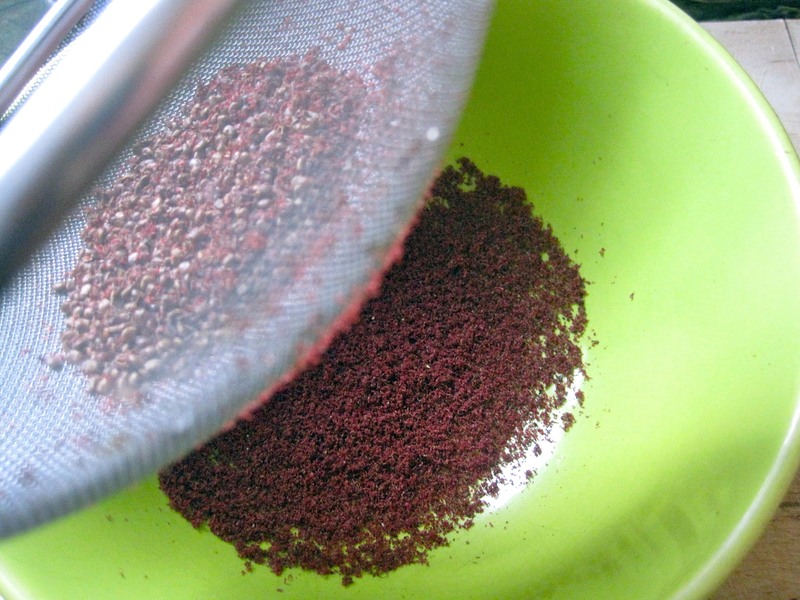 Store the leftover spice blend on a covered jar. 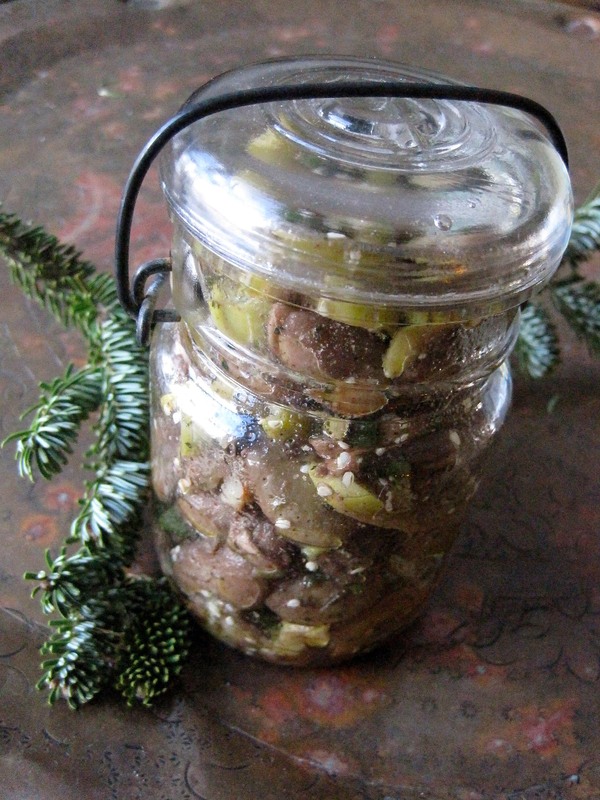 Marinate Fava Beans in a covered glass jar in the fridge for at least 8 hours. Enjoy at room temperature.